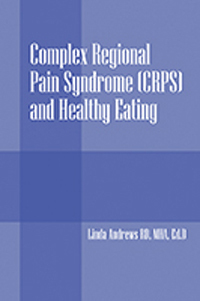 Linda Andrews RD, MHA, Ed.D is a Registered Dietitian with a daughter diagnosed with CRPS. Dr. Andrews believes even though the pain directly caused by CRPS is excruciating, avoiding foods that cause additional pain and knowing what to eat and when to eat may increase the quality of life for the CRPS sufferer. You have been diagnosed with Complex Regional Pain Syndrome and are wondering if food and nutrition will make the pain go away. As the title implies, this is a complex disease with many individual varying factors. What works for others may not work for you and vice versa. However, it is a universal fact that eating foods that promote health and establishing healthy eating practices will enhance the quality of your life. It will not happen overnight; however, it will happen in time–a short time for some and a long time for others. Ultimately, eating healthy foods and following healthy eating practices is worth your time and energy. Additionally, some foods may aggravate inflammatory conditions and even cause pain. You may be able to manage your pain by avoiding foods that tend to cause pain.